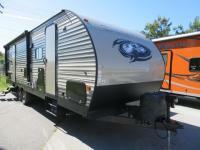 You can set out to just about any destination in this single-slide Cherokee travel trailer by Forest River. 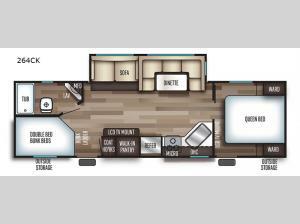 This model features two entry doors for a smooth flow of traffic in and out of the unit. 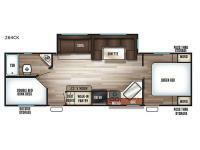 Your kids or guests will enjoy the rear set of double-size bunks, and for your meals, you can gather around the U-shaped dinette that can also easily convert into additional sleeping space at night. This unit has plenty of handy features you are sure to love like the rear bath, coat closet, and walk-in pantry.